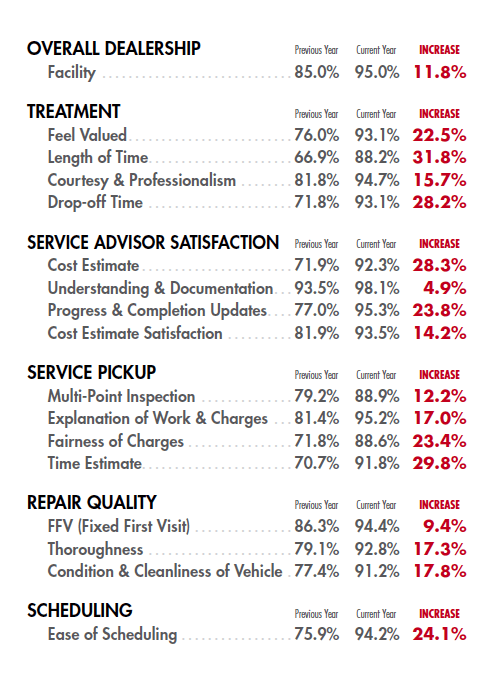 Improved Communication Is A Dealership’s Key To High CSI Scores! TEXT2DRIVE™ is a revolutionary text message marketing and sales tool developed specifically for dealerships. In many ways, it automates and significantly improves communication with your customers. Better two-way communication between the dealership and the customer is verified to improve CSI scores and ultimately revenue in both the sales and service department. Time spent on the phone is greatly reduced with its ability to create templates, integrate with the DMS, and text multiple people at once so that you can spend more time on what matters. Like any other tool, TEXT2DRIVE™ is only as good as its utilized. If you intend to get serious and personal with your customers, TEXT2DRIVE™ is the way to go! The staggering results within this case study from Hebert’s Town & Country shows some key areas of customer satisfaction that have dramatically improved year-over-year with the consistent use of TEXT2DRIVE™. Download the full case study PDF of Hebert’s Town & Country to see more powerful statistics, the path to success, and useful information that can help your dealership improve its CSI scores. Effective communication enhances ALL areas of the customer’s experience from the moment they step on the lot, to when they purchase a vehicle, to when they come in for a service or repair, and every point in between. Our Top 5 CSI Score Game-Changing Tips! Ensure that the person you’re communicating with is the primary “customer name” on the Repair Order so the automatic text addresses them properly. Get everyone in the department involved. This is a tool that can be used, not only to improve customer communications, but internal communications as well. If the customer that calls to schedule has never been to your dealership, send them a text like this; “Hi, this is [EMP_NAME] at [DLR_NAME]. Please send last 8 of your VIN #, first and last name, address and email to create your profile.” This will help the advisor move on to the next customer and minimize customer frustration on the phone while trying to input new information. Use TEXT2DRIVE™ like you can’t live without it. Watch your department become more profitable when redundant phone calls become non-existent. When the majority of phone calls are new business, the department flows more efficiently. A software platform is a tool and is only good if you use it, and the proper processes are in place. 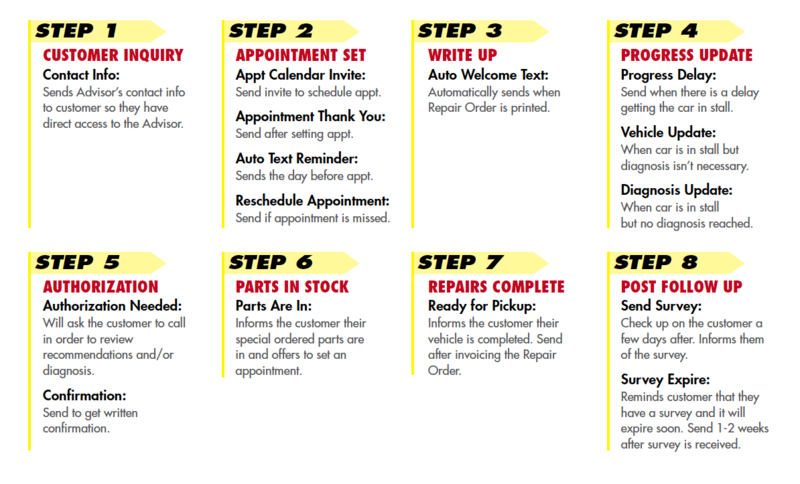 When used properly, it will streamline your service department’s efficiency and will save thousands of man-hours through standardizing and automating text communication efforts. Don’t take our word for it; take a look at the numerous testimonials and case studies from actual dealerships, services advisors, owners, and sales managers. Want To Become TEXT2DRIVE’s Next Great Case Study? It all starts with our interactive demo!